blasted 7 - 1 by Acadia tonight. What can I say folks, it wasn't good. It wasn't what we expected. It was downright hard to watch. 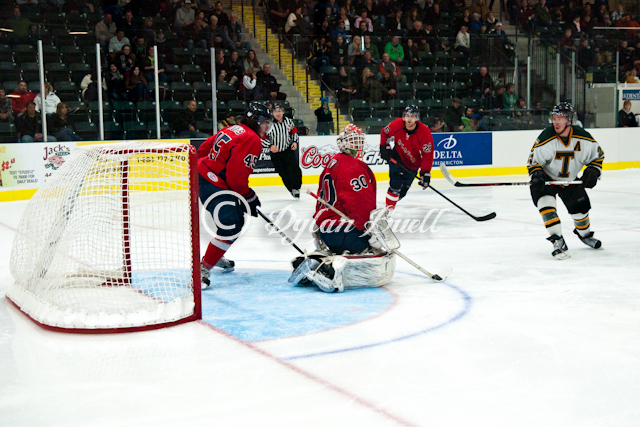 The Acadia Axemen foiled STU's home opener in a cake walk 7 to 1. Jon Groenheyde and Justin Collier shared time in the Tommies net. Tomorrow night the Dalhousie Tigers come to town. Please come out and watch. They may not win but surely they will have a better effort than tonight. It couldn't be much worse, right?